Van-Star Plumbing & Heating Inc. Bringing affordable plumbing and heating repair to Abbotsford. Call for a free estimate! For more than 33 years, Van-Star Plumbing & Heating Inc. has been the go-to company for plumbing services in Abbotsford. 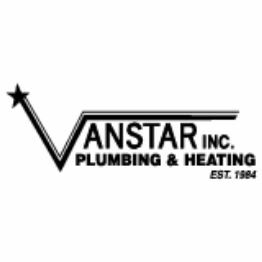 If you have plumbing problems or if you’d just like to make some aesthetic changes in your home or small business, Van-Star is the right business for you. We’re a full-service company specializing in residential and commercial plumbing repairs and renovations. In addition to plumbing repairs, we also perform repairs on heating units and make sure your home’s unit is working properly. If the faucets, sinks or tubs in your home are beginning to look dingy and worn out, we can help you pick out new ones and install them into your house. If you feel it’s time to give your kitchen and/or bathroom a facelift, Van-Star can fix that as well with our total renovation services. So whether it is troubleshooting issues with water flow or designing custom plumbing in Abbotsford, let Van-Star Plumbing & Heating Inc. take care of it for you. We offer free estimates on services and free water heater removal. Call today to schedule an appointment with Van-Star.